McNeal’s model is happening this weekend in Murfreesboro, Tennessee. Six students are spending eleven hours of their weekend studying Christian Heritage with a young woman who will soon receive her doctoral degree from a respected graduate school of religion. They range in age from mid-thirties to late fifties. One is a personal trainer; another works for the regional office of an insurance company; one student is responsible for the plant operations of 14 hospitals in east Tennessee; and another is an administrator with a government agency. Of the other two students, one is a part-time associate minister of his church and the other is a full-time minister to students. All but one is married. Four have children at home. All are involved in leadership roles in local congregations—either volunteer or paid. This model offers students an opportunity to pursue ministry preparation without disrupting their families and their ministries. A strong online component is being developed to offer more flexibility and options. Two of the students mentioned above traveled three hours or more to participate this weekend. Online options will cut down on the number of travel hours involved while still involving them in a community of fellow learners. The Association of Theological Schools has been supportive of this effort to provide an alternative form of theological education. Central Baptist Theological Seminary in Shawnee, Kansas, First Baptist Church of Murfreesboro, and the Tennessee Cooperative Baptist Fellowship joined in a partnership over five years ago to offer this “teaching church seminary” approach. This was long before McNeal wrote his book. Only rarely have I found myself “ahead of the curve” when it comes to innovation! It’s exciting to be part of an initiative that is reinventing (or recovering) the way we train leaders for the church. In reality, we Baptists have too often emphasized individualism (me and Jesus) over being part of community. We have tended to think more about our personal relationship with God rather than being part of the community of faith. This is one of those situations where it is not a choice of one or the other; we need both. After I wrote this past week on the need for community in the Christian life, I received some responses asking, “What does this look like?’’ I think that most of us realize that, as followers of Christ, need to part of a community where Christ is present. Matthew 18: 20 says, "For where two or three come together in my name, there am I with them." So how do we become part of a community gathered around the Master? First, we need to part of a community that is centered in the Word of God. In such a setting, we not only talk about the scriptures, we let the scriptures speak to us. We also learn from the way that the scriptures speak to others. Together, we come to an understanding of what the Bible is saying to the community as well. Second, we engage in prayer with others and for others. In such a context, silence has a place. We can learn much from the Quakers in their openness to listen for the voice of God in the silence of community. Third, we become accountable to others in the community. This is probably the hardest thing for us to do, but in allowing others to hold us accountable for our walk with God, we are ultimately yielding ourselves to God and not the community. Fourth, we serve together. We become part of a community that is not only internally focused but externally focused as well. We seek God’s mission and then live into it. Fifth, we practice agape love. We recognize that God’s love is a gift to us that we gratefully accept and freely share with others. Have I found such a group? I have been privileged to be part of such a community for a few brief times in my life. I continue to seek for such a fellowship because I know that the Master has called me to be part of community in order to know Him more fully. My friend Amy Mears and her husband, David Webb, lost their eight-year-old daughter Emmie in a traffic accident last Wednesday evening. A beautiful memorial service was held Saturday at Glendale Baptist Church in Nashville where Amy is co-pastor. I did not know Emmie. I believe that she accompanied her Mom to a TCBF planning meeting several years ago because she was too sick to go to school. I do know something about Amy and her ministry. Handling private grief in a very public setting will be a challenge for Amy and David, but an incident that I observed early in Amy’s ministry at Glendale causes me to think that they will find a way to do it with grace and authenticity. The day that Amy Mears and April Baker were installed as co-pastors at Glendale, I arrived at the church at the same time that Amy, David, and their family arrived in their van. Out of the van stepped four children who were ready for the big day. Danny was dapper in white shirt and tie. The three little girls—Emmie, Lara, and Mia—were decked out in beautiful, frilly dresses with their hair in festive bows. I thought then and remember now that although this was Amy’s big day as a minister, she and David had gotten up early to make sure that their children were ready for the day. Such care speaks to me of a family that has its priorities right. Family was not a second thought but at the center of their lives. Little things make big memories. 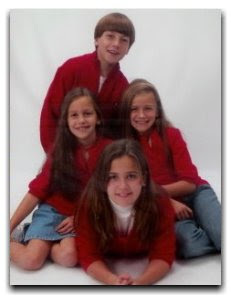 Emmie was fortunate to be part of such a family, and I am sure that they were blessed by her time with them. As pastor April Baker noted in her homily at the memorial service, we don’t know why this little girl is no longer among us, but we can thank God for her days on this earth and for memories of her. One of my seminary professors said on more than one occasion, “I would trade all of my seminary degrees for the opportunity to have spent three years studying under the Master.” I always considered this a rather sentimental thought, but I certainly understood the spirit with which it was voiced. I have also wondered if it reflected on his experience of being part of the faculty of a theological institution! The seminary that Jesus conducted was certainly more incarnational than institutional. There were no facilities, no other faculty members, and only occasional access to books. It was an itinerant school that was in one place today and another tomorrow. 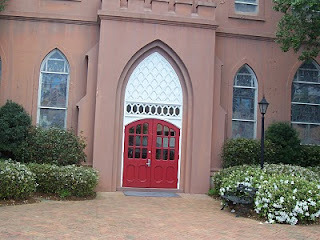 I have a feeling that chapel was held quite often and that the potluck fellowship meals were rather boisterous. The key element was, of course, fellowship. Jesus built a community around himself. There were various rings of intimacy but deep and enduring relationships were being built. In the years ahead as the surviving disciples became apostles and spread the Gospel in many lands, the Spirit would bring to mind not only the teachings of the Master but the fellowship they had with him and with one another. 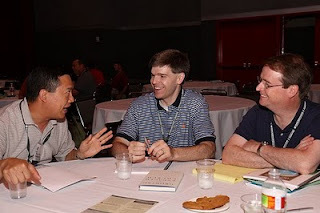 Creating community continues to be one of the key aspects of theological education. The challenge comes from the busy schedules of students and the fragmentation this produces. Most seminaries now only offer classes two or three days a week on campus. They usually meet from early in the morning to late at night. Fellowship meals and chapel services are inserted as often as possible. Even so, many students or bi- or tri-vocational and spend little time on campus. Others are taking classes online or do directed studies with professors and rarely come to the campus. Increasingly, seminary professors are finding that teaching is not an 8 to 5 job (if it ever were!) 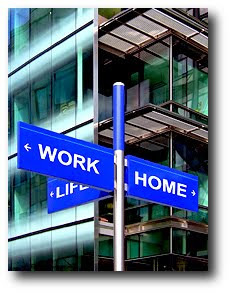 and find themselves working at least the second and maybe the third shift! Community is vital to theological and spiritual formation. Some things are best learned in dialogue with professors and other students. We learn from the experiences of others and share our own struggles. Seminary leaders are well aware of this and will find new ways to keep relationships alive, but it will be something of a challenge. It certainly will be nothing like walking the dusty roads of Galilee with Jesus. Seminaries and their constituencies should use this moment to consider new pedagogical models as well. Take, for example, the longstanding disconnect between the practical fields of ministry and the academic disciplines of Bible, theology, ethics and church history. Curricular discussions have focused on how to help students integrate the practical and theoretical aspects of study, but most efforts end up maintaining the division and placing the burden of integration on the students more than on the curriculum and the faculty. Is it time to organize courses around the life and mission of the church? The last sentence is something of an accusation, isn’t it? The writer is implying—or stating—that theological education is NOT currently organized around the life and mission of the church! Although this may be true in many situations, I have had the opportunity for the past six years to be involved with a seminary that takes the life and mission of the church seriously. Since the fall of 2005, I have been associated with Central Baptist Theological Seminary in an effort to offer theological education in middle Tennessee to students who are already involved in local church ministry and desire additional theological training but are not able to relocate to pursue that goal. Despite some growth pains, the program has gone well. The Association of Theological Schools has affirmed our effort. One student has already completed her master of divinity degree and three more are on track to do so this May. In most cases, I have found that those who have taught students in this program have taken seriously the “teaching church seminary” approach of Central. Students are encouraged to share insights from their local church involvement and to apply what they are learning in the local church. 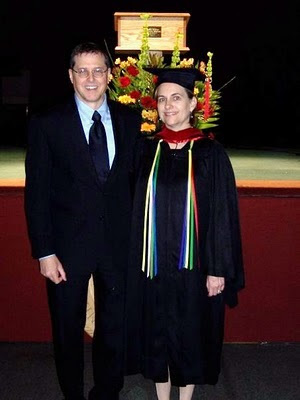 Some of the adjunct instructors are serving as ministers to congregations. In Ministry Praxis classes, students spend two semesters in churches or other ministry sites to develop their ministry skills and apply what they have learned. The integration of theological education and local church ministry is not seamless, but we are making great strides toward that goal. We want to build up the Kingdom of God through developing men and women who are “biblical knowledgeable, theologically articulate, spiritually healthy, humanly sensitive, and professionally competent.” Central is accepting the challenge to “organize courses around the life and mission of the church” and can serve as a model to others. What Can a New Generation of Leaders Offer? Mike has a good point. Although I am sure that there are any number of things that young leaders can offer, here are some ideas. First, they can bring new life to ministry. With their personal energy and relationship skills, they can give a boost to the external ministries of a church or organization. They can make connections that an older generation may have missed. Second, they can provide a fresh perspective, especially on worship. Although there are some unchanging elements of worship, real worship is always being renewed to speak more effectively to a people immersed in a particular culture. Although we regularly sing anthems, gospel songs, and praise hymns in worship, each was created in a particular time and place to meet a need. We are still reinventing worship today, and we need help to do it. 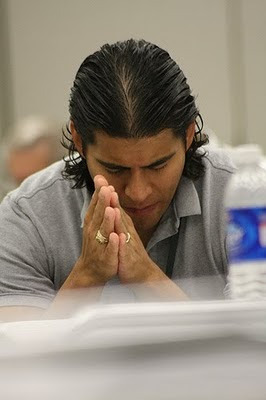 Third, they can bring questions that will help us to sharpen both our theology and our practice. Hard questions produce fresh thinking. Difficult times have produced some of our greatest theologian. What does the Bible have to say about poverty, sexuality, and race? What is unique about the Christian faith in a postmodern context? What does God expect of me? Fourth, young leaders must not only be willing to work and question, they must be open to learn. A teachable spirit can open any number of doors. Each of us was born into a rich culture and each of us has been reborn into a rich ecclesiastical culture. The church has been at this for two thousand years so there are mistakes to avoid and successes to emulate. Young leaders call us to reflect on that rich history. Something we can give to each other is an authenticity based on love. In a group this weekend, we talked about authenticity that is based on love rather than trust. An authenticity based on a trust is a transaction—the more trust you give me, the more I will give you. This approach makes developing an authentic relationship a long, slow process. An authenticity based on love is a gift. A real gift is offered with no expectation of something in return. A relationship motivated by love puts it all on the line. If we really want to have authentic relationships with young leaders, we must practice agape! What do you think? What can young leaders offer the church? As Christian leaders, we often say that we want to nurture a new generation of leaders and involve them in the life of the church. On several occasions, however, I have personally observed questioning and criticism of the decisions and leadership of young adults who have been asked to assume responsibilities in the local church. Although the desire is sincere, too often the reality is that we are too set in our ways, uncomfortable with change, and want everything to be “perfect” (according to our standards). Calling out and empowering young leaders is a painful process, both for the young leaders and the church! They will never be ready unless they try, succeed, and sometimes fail. In Missional Renaissance, Reggie McNeal points out that “Jesus deployed his disciples long before they were ready.” From personal experience they learned how much more they needed to learn from the Master and were motivated to do so. In order for young adults to become leaders, they need three things. First, they need a chance to serve. They need opportunities to accept responsibilities that are meaningful and consequential. When I was 23 years old, I was a platoon leader in the U. S. Army. I was responsible for the care of at least 30 people and at least a million dollars of equipment. Of course, I was under authority, but I was also accountable. Can you imagine this happening in the church? Second, they need champions. 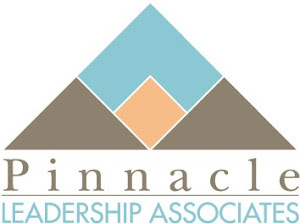 Young adults need older leaders who will be advocates on boards, committees, and staffs to actively seek out, employ or enlist, and empower young leaders. These individuals keep their eyes open for talented young leaders and find places for them to serve. Third, they need coaches. Young leaders do have much to learn and a teachable spirit is important. At the same time, they probably already know more than they are being given the opportunity to practice. Young leaders need persons who will stand along beside them, help them to set goals, and then hold them accountable to pursue those goals. If we are sincere about wanting younger leaders in our churches and organizations, we must carve out a space for them. 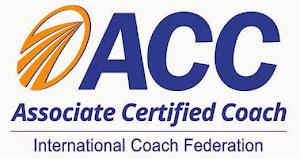 John Wooden, the great UCLA basketball coach is reported to have said, “When opportunity comes, it’s too late to prepare.” Our preference might be to have time to put long-term plans in place, but this does not always happen in the real world. Opportunity will come (if we keep our eyes open), so how can we as individuals and the church be ready to take advantage of it? This is not strategic planning but tactical response. How can we be ready for opportunity? What can we do to be prepared? I suggest several ways. Know who you are. We need to have answered the question, “What is our life purpose or calling?” Each of us as individuals has a purpose in the world, one that is distinct and needed. The same is true for churches. In every community, churches are called to carry out specific ministries and to work with particular people. They will only know this if they have sought to understand and articulate their purpose. Know what you have to work with. What are the gifts, resources, and abilities that are available to you as an individual or a church? In reality, some of these only surface when crisis or unexpected opportunities for ministry arise. At such times, the Spirit of God often speaks to those who have been unwilling or reluctant to step forward. If things had remained stable, they would have remained “balcony and back row” participants rather that stepping up to offer their gifts, resources, and abilities. Know where you are. What is your context? Even in the age of GPS, we sometimes don’t know where we are. If we have been in a community for a long period of time, we may not appreciate the unique character of that community or the changes that have happened over the last few years. Too often, we only see what we are conditioned to see. We must open our eyes and see what is happening around us. Know your capabilities. What are your strengths? What are you good at? There is a trend today to identify our strengths and try to maximize them rather than identifying our weaknesses and trying to overcome them. God gave us our strengths for a purpose so let’s work with them! We can build on what we already have rather than starting from ground level. Jesus provided a number of parables about being prepared (see Matthew 24 for example). He pointed out that the Kingdom of God will break in like a bridegroom who comes in the night, a master returning unexpectedly from a long journey, or even a thief! In order to be ready, Jesus encourages his followers to practice wisdom and faithfulness: "Therefore keep watch, because you do not know the day or the hour. (Matthew 25:13). I have spent some time reflecting on this announcement. Since I know many people who attend the church and have heard the pastor speak several times, I have great respect for their ministries and their witness to the community. They help a lot of people. The pastor is a great communicator and a good leader. My first response was rather negative because I have an inherent distrust of CEO leadership in the church. I also am always concerned when business philosophy (not business practice) is at the center of a congregation’s life. Is the church a business? No. Should it be run with the most effective and efficient means available? Probably. Should the bottom line be measured solely by counting nickels and noses? No. On the other hand, I can appreciate that this pastor has forged a bridge to the larger community that provides opportunities for outreach, service, and witness. He is interacting with the culture and is leading his church to do so. He has garnered the respect of community civic and business leaders and can interact with them easily. I also appreciate the fact that neither the church nor the pastor wrote the citation with which he was presented. This is a secular response to visible success and it is worded from that perspective. I have no doubt that this church and its pastor know that the church is meant to be more than a business—it is the visible manifestation of the reign of God in this world. This struggle involves a spiritual dimension. As Paul writes in Ephesians 6:12, “For our struggle is not against flesh and blood, but against the rulers, against the authorities, against the powers of this dark world and against the spiritual forces of evil in the heavenly realms.” We are involved in a spiritual endeavor rather than a business one (even though it has economic consequences). As much as I try to understand this commendation, it still makes me uncomfortable. But maybe that’s my problem. Prior to last night’s Super Bowl, there was considerable discussion about the commercial purchased by Focus on the Family featuring Tim Tebow and his mother, Pam. 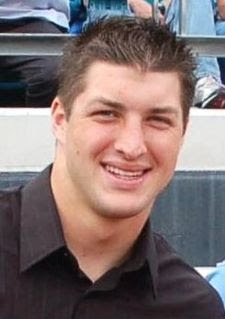 As you have probably heard, Mrs. Tebow chose not to have an abortion when she was pregnant with Tim, although doctors warned her there might be complications with the viability of the baby/fetus (choose your term) and her own life. Critics called on CBS to “Cancel Bowl Sexism.” CBS chose to run the commercial with the Heisman Trophy winning college quarterback and his mother. Viewers did not hear a message about abortion but were directed to the Focus on the Family website. The conflict over the Tebow ad did sensitize me to other advertising on the broadcast. I started to count—but finally gave up—on the number of commercials that demeaned women, made fun of healthy marital relationships, and encouraged the use of alcoholic beverages for any (or no) reason at all. There were commercials I liked. The E*Trade babies are always funny if a bit too smart for their diapers. I liked the ad about Bret Favre still playing pro football in 2020, but I can’t remember what it was promoting! The Letterman/Oprah/Leno ad was good, too. What’s the moral of the story? Don’t pay attention to commercials or at least don’t let them set the standards for your life. 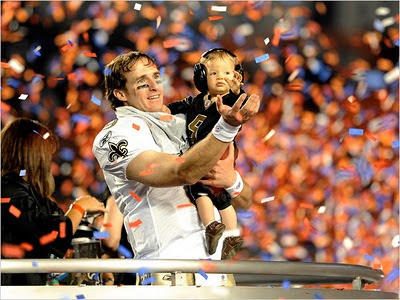 No commentary, I just have to say this is my favorite picture of the post Super Bowl celebration--quarterback Drew Brees sharing the victory with his son. Do I Really Have to Ask for Directions? Men have problems asking for help. Well, that will come as no surprise to most of us! In an interview on NPR’s Talk of the Nation, columnist Amy Dickinson of the Chicago Tribune shared a story about a group of men who found a way around that problem. Dickinson told about a group of men who found themselves without jobs in the current economic downturn. They started meeting once a week for coffee, then three times a week, and finally set up their own office where they could meet daily. The purpose of the arrangement was a bit unclear at first, but it became a way to encourage each other in seeking work, consulting jobs, and other professional development. According to Dickinson, the key was that they saw it as a professional relationship. Evidently, the group needed each other but they also required an excuse other than it being a social gathering! The columnist also noted that women can get through personal or professional crises better than men because they value relationships and usually already have a support network developed when crisis comes. Men, on the other hand, want to appear self-sufficient and must justify their need for others. Ministers—especially male clergy--often have problems developing supportive relationships. There are any number of excuses—lack of time, fear of self-disclosure, not wanting to “play favorites” or a feeling of invulnerability. Because of this, every minister needs to be part of some type of peer or support group. Such groups provide opportunity for encouragement and accountability. These can be safe places to work through concerns and to provide support for others. Such groups do not develop overnight, but they are well worth the time and effort involved. The result is a healthy self-awareness and the discovery that one is not alone.